A selection of different mouthwatering dishes served on banana leaves. 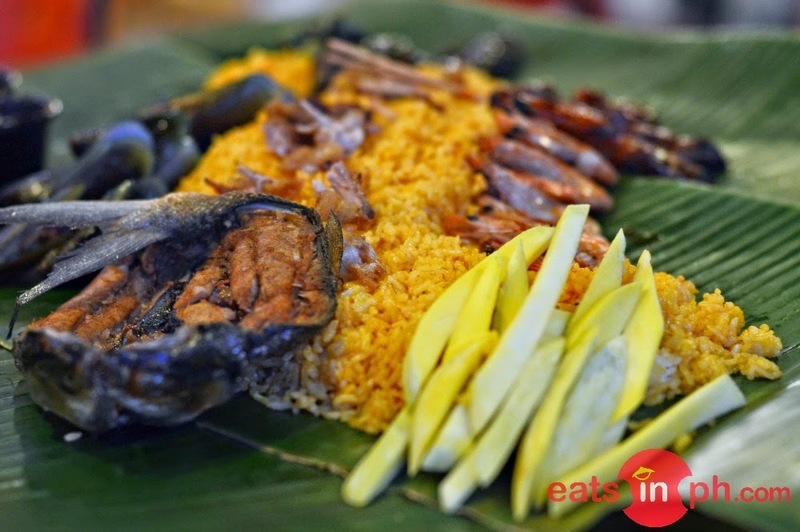 It includes deep fried boneless bangus, pork bbq, steamed white shrimps, grilled tahong, grilled eggplant, okra, talbos ng kamote, fresh greem mangoes, crispy liempo and bagoong rice. Bldg. G SM by the Bay, Seaside Blvd. View all Seafood Island Restaurant braches here.